Working with students, creating art, and spending time with my family are my passions. Ever since I was a child, I have picked up pretty rocks while walking the woods. Today, this same primal hunting and gathering instinct is awakened in a bead store. In addition to being relaxing, beading gives me an outlet for this fascination with found objects with luster, texture and color. Nature is a common theme in my art and jewelry. 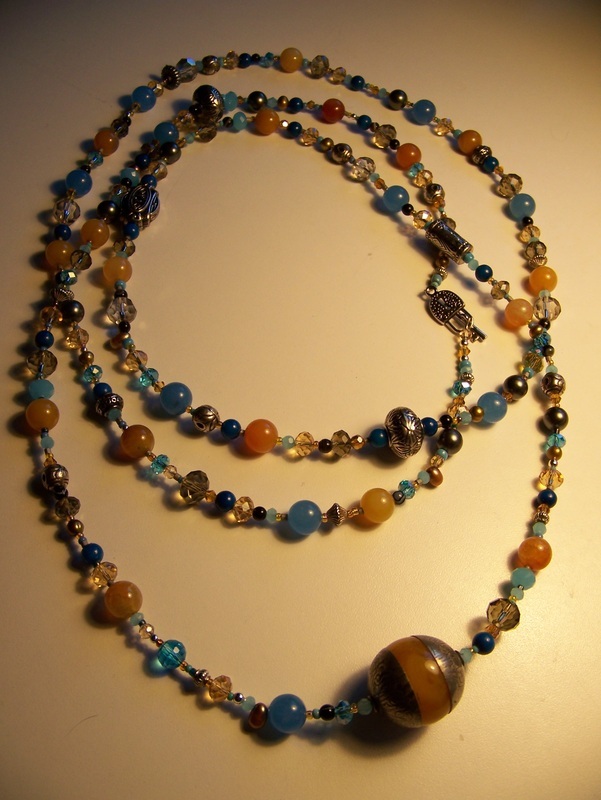 I enjoy the challenge of mixed media and often combine glass, gem stones, pearls and metals in a piece.